Whenever I drive my father anywhere, he comments on the houses we pass. “Those are some well-kept houses,” he says, especially in the summer when the yards are groomed and flowers are blooming. Somewhere along the line maintaining his house became too much. My mother kept beautiful gardens. She was outside nearly every day in the spring and summer planting, weeding, and pruning so that passers-by were treated to some beauty. 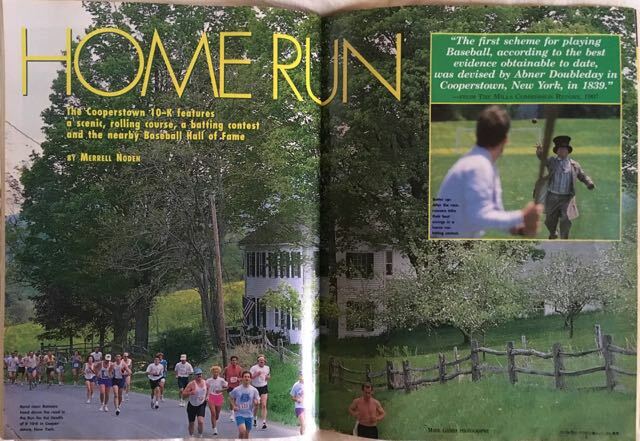 In May 1994 the house was featured in a 2-page spread of Runner’s World magazine. 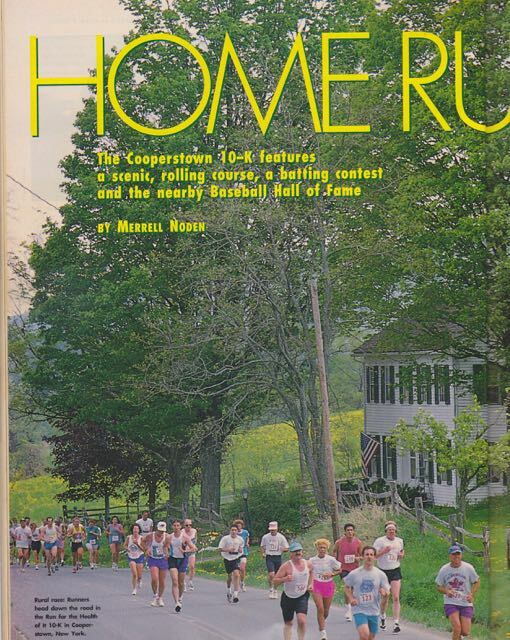 A 10K race was routed right past the house. As dementia crept in, we discouraged her from being out near the road. I was worried about her safety. Plus she would shake her fist at cars that drove past too fast. I was worried she would get a reputation for being a crazy old lady. As the gardens were overtaken by weeds, the fence rotted. The split rail fence needed a number of rails replaced but when my father purchased new rails a few years ago and brought them home, he discovered they were too short. My eighty-something father, who was struggling was balance issues and growing frailer by the minute, honestly thought he could do that. With aging parents — as with children — figuring out how to address challenges without totally discouraging them with you-can’ts is tricky. “How about if we get someone to help you with it?” I suggested. “I can do it,” he insisted. And now the rails are rotting in a pile. Bud has been working hard to reclaim the gardens. Last summer, he weeded and weeded and weeded. He cleared brush. He mowed. He pruned. He’s one of the hardest working people I know and I wondered if my father even noticed. We were driving to get his haircut last week, and he commented on how well-kept the houses were on the way. “It takes a lot of work to keep a house looking nice,” I said. My father was quiet for a few minutes staring out the window. “When is Bud coming again?” he finally asked. He made the connection between the work required to keep the house looking nice and Bud. He recognized that Bud and I don’t get to see each other every day. We’re doing it for him. It isn’t easy, but it’s important. And I’m grateful that we can be there — and get that house looking nice again. There’s some good in that, that he recognizes those things. Your mom always had your yard looking lovely same as mine did ours.